Obamacare may be sickly, but it's not at death's door. About to enter its fourth year, Obamacare is contending with skyrocketing price increases, insurer defections and anemic enrollment growth, particularly among younger, healthier Americans. This coming sign-up period will prove critical to the president's signature health reform law's future. Still, Obamacare is now firmly embedded in America's health care landscape. It's not about to collapse, and it can't be eliminated with the simple stroke of the next president's pen. About 20 million Americans depend on Obamacare for coverage, including those on the individual exchanges, young adults who can stay on their parents' plans and the poor who qualify for Medicaid. Prices are soaring: Premiums for the benchmark plan on which subsidies are based will rise 22%, on average, a far steeper hike than in previous years. This plan will cost an average of $296 a month next year for a 27-year-old enrollee in the 39 states that use the federal healthcare.gov exchange, plus the four states and Washington D.C. that have their own exchanges. It's happening because insurers now have a better sense of who is signing up for their plans ... and those folks are sicker than they expected. Many insurers are losing millions of dollars because the costs of treating those with chronic illnesses, such as diabetes and Hepatitis C, are exceeding the premiums charged. And there are not enough healthier people enrolled to offset those expenses. One thing to remember, however, is that many insurers initially priced their plans too low as they tried to navigate a new market. So while the increases hurt, they are only coming into line with what it really costs to cover Americans who don't have access to work-based health insurance. Regardless, the spikes are staggering in many states. In Arizona, the benchmark plan is rising 116% to $422 a month. In Oklahoma, the plan will cost $424 a month, or 69% more than this year. And in Tennessee, it's rising 63% to $385 a month. The majority of Obamacare enrollees will be shielded from these hikes. Some 85% receive federal subsidies that lower their cost of coverage to less than 10% of their income, depending on the plan they select. Insurers are leaving: Americans will have fewer choices in 2017. The number of carriers will drop to 228 next year, down from 298 in 2016. Some 21% of consumers returning to the exchanges will only have one carrier to chose from, though that insurer will likely offer multiple plan choices. Insurers are pulling back as they run up huge losses. Aetna (AET) announced in August it would stop offering policies in the 11 states where it currently operates after losing $430 million since the exchanges opened in January 2014. UnitedHealthcare (UNH), the biggest health insurer in the United States has lost $1 billion in Obamacare, and said in April it would pull out of most of state exchanges next year. Also, the majority of the Obamacare co-ops, which were funded by the federal government to provide more choice, have failed. Insurers want to see the federal government improve its Obamacare risk management program. Initially, insurers with costly enrollees were protected by three different federal initiatives. But two of them will end after this year, and carriers say the remaining risk adjustment program has many flaws. The program requires insurers with healthier-than-average customers to fund federal payments to other insurers with sicker-than-average enrollees. Insurers want revisions to the formula to better reflect the costs of those with chronic conditions, particularly their prescription drug use. Also, insurers want the feds to clamp down on special enrollment periods, which allow the uninsured to sign up for coverage throughout the year if they lose a job or get divorced, among other changes. Carriers argue that lax procedures are allowing people to sign up only when they fall ill and need insurance. Insurers have not shut the door on Obamacare completely. Aetna and some others said they would consider returning if some provisions were changed. The healthy aren't signing up: Obamacare needs to draw in more uninsured Americans -- the healthier, the better -- this coming enrollment period to put it on more stable footing. Folks can sign up for Obamacare from Nov. 1 to Jan. 31. Obamacare enrollment has fallen short of initial projections, in part because employers did not kick as many workers as expected off their rolls. But it's also attracting fewer young adults, who generally don't have as many medical issues. Some 10.4 million people were enrolled in Obamacare plans as of June 30. Enrollment is expected to average 11.4 million next year. 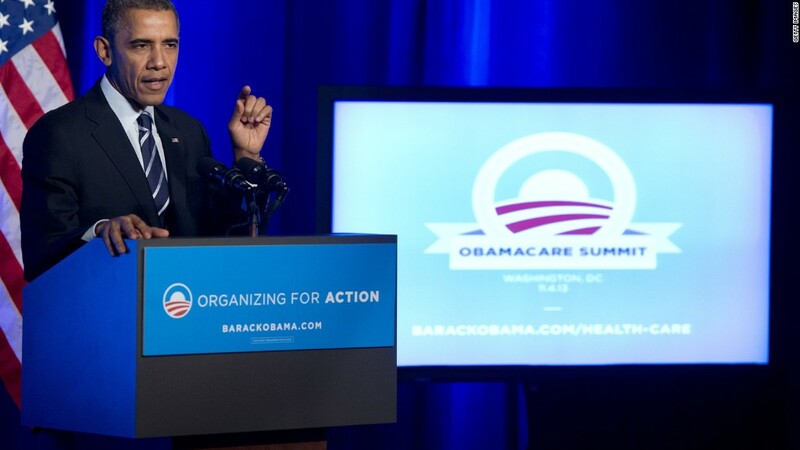 Administration officials are trying harder to reach the uninsured. The administration is particularly targeting younger, healthier folks with social and mobile messages, running ads on YouTube, Instagram, Facebook and Twitch, a social network for gamers. Officials are also reaching out to the estimated 2.5 million people who bought individual plans outside the Obamacare exchanges and qualify for subsidies. And the IRS will contact people who paid a penalty or received an exemption for remaining uninsured. The penalty for going without coverage in 2016 increased to $695 per adult, or 2.5% of household income, whichever is larger. More Americans have health insurance than ever before. Their plans have to cover an array of benefits, such as annual check ups, prescriptions and various screenings. And they are protected against excessive medical bills, which was a leading cause of bankruptcy in the past. Also, insurers can no longer turn away people with pre-existing conditions. In the past, many Americans who lacked work-based coverage could not find an insurer who would take them on. Young adults can stay on their parents' plan until they turn 26. And low-income adults can now sign up for Medicaid in the 31 states, plus the District of Columbia, that have expanded the program. In less than three years, the nation's uninsured rate has fallen to a record low. There were 27.3 million uninsured Americans, or 8.6% of the population, as of March 31. That's down from 44.8 million, or 14.4%, in 2013. Some of the dire predictions surrounding Obamacare have also failed to materialize. Opponents said that employers would drop coverage and shove people onto the exchanges. They argued that companies would force people to go part-time so they didn't have to provide health benefits, as required under the law. And they repeatedly called it a job killer. None of these have happened, according to federal employment data and studies by researchers.